Emma & David’s wedding day started off as a cool September morning. The grounds of the Kelley Agricultural Museum were calm as everyone moved to complete the finishing touches. 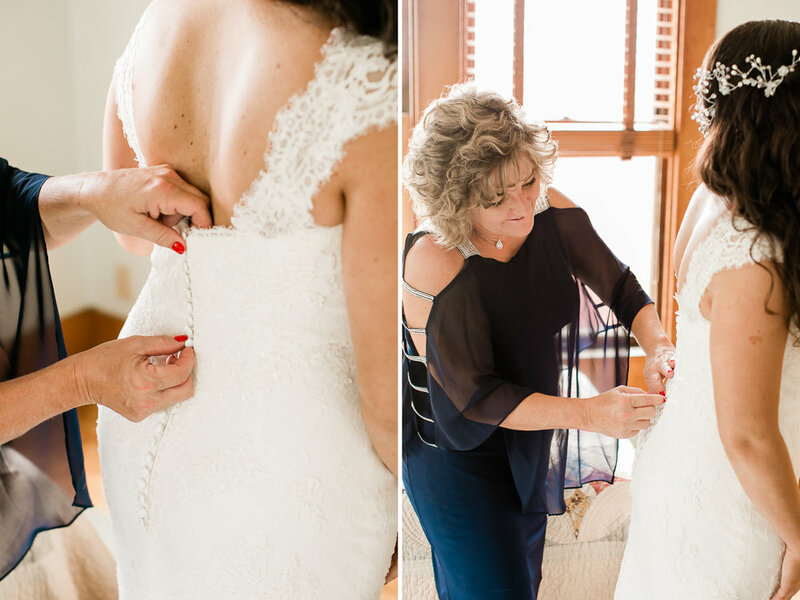 The bride enjoyed the morning and took her time getting ready in an old farm house filled antique pieces. In between making sure everything for the day was right in placed, David kept asking me how his Emma was. He was so excited and couldn’t wait to finally see his bride in her dress! Emma & David elected to do a first look before their ceremony so that they could go right into celebrating with their family and friends at the reception. The sight of Emma brought David to tears; it was such a sweet and special moment between the two of them! The red round barn made the perfect backdrop for Emma & David’s vows. 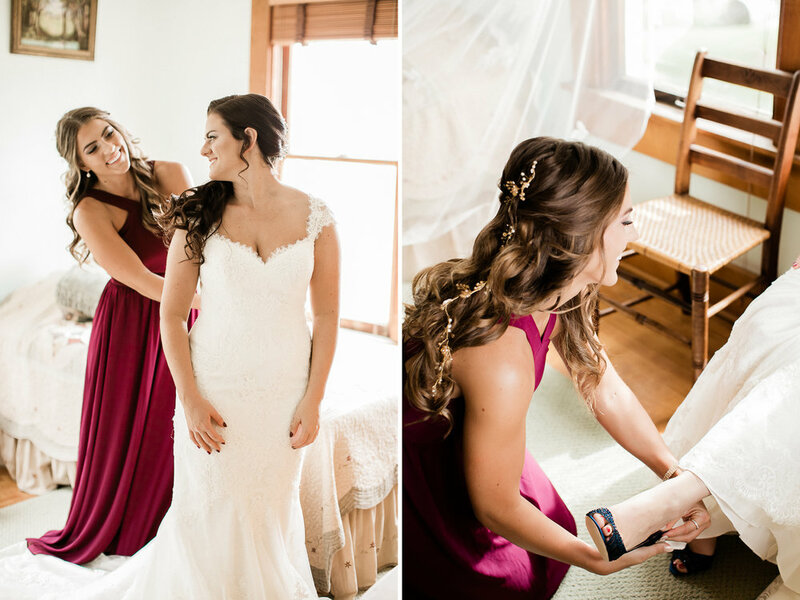 All of the burgundy and navy details tied in effortlessly with the rustic accents and gorgeous flowers that were curated throughout the property. What a stunning wedding party, am I right?! The guys surprised everyone with glow-in-the-dark suspenders! So fun! As the evening went on, the brisk overcast skies from earlier transformed into a glowy and bright sunset! The party continued as the sky turned colors and the guests danced under the twinkling string lights. It was such a beautiful scene to behold. Outdoor weddings FOR THE WIN! Congratulations Mr. & Mrs. Cooper! You two are the sweetest, most gracious people ever and I enjoyed every second of capturing your special day!